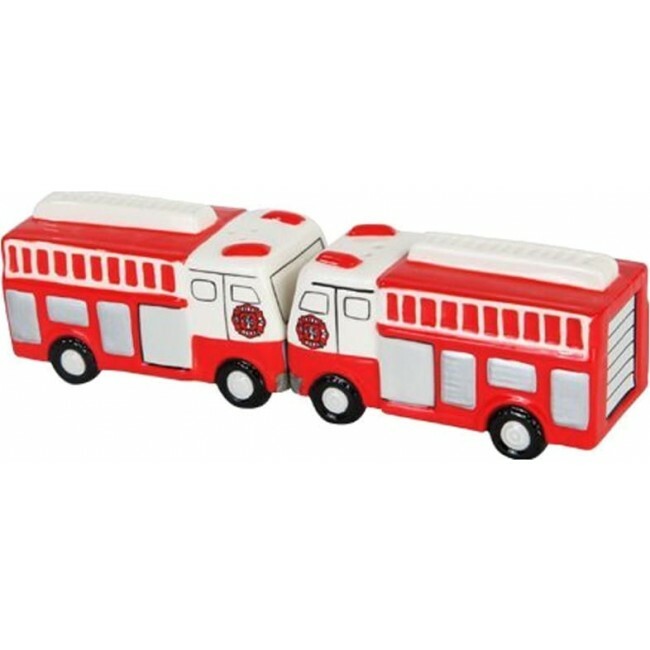 Fireman Trucks ceramic salt & pepper shakers are the perfect addition to your kitchen! 3.25 inches tall. Magnetic feature holds the two shakers together.